Since Google spent $3.2 billion to purchase Nest back in January, I’d say it’s about time for the company to integrate the smart thermostat with other devices. It did just that on Monday through Google Now voice commands, but without much fanfare, says Android Central. Perhaps that’s because to get it working, you simply use the same old “works with Nest” process that already existed, which is a bit shoddy. 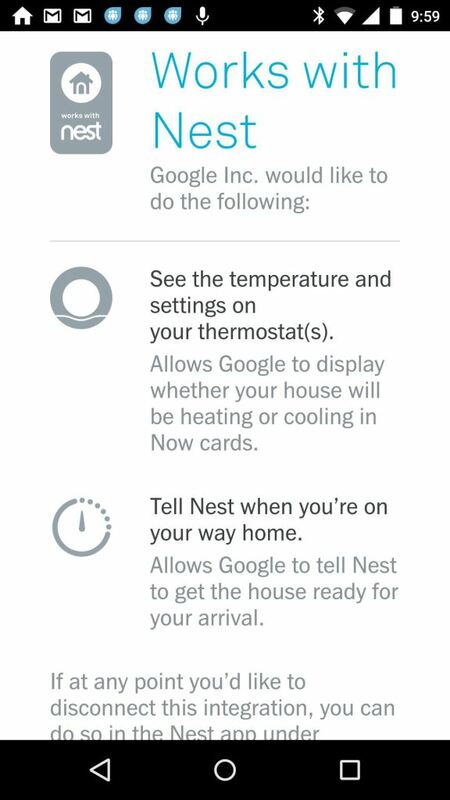 Regardless, I was able to connect Google Now with my Nest by hitting the https://workswithnest.google.com/ site and following the instructions. I can now speak temperature control commands to Google Now and the Nest follows them pretty quickly. Here’s a short video demonstration using an iPod touch, Moto X phone and Chromebook Pixel to control the thermostat with voice. Note that Android Wear doesn’t yet support this feature.